There is no shortage of Virtual Private Network solutions out there, they really seem to be all the rage this side of the NSA reaching into the search engines and online storages to harvest our very personal data and to build a profile on each and every one of us. It seems in the future a Virtual Private Network, or VPN, will be requirement for anyone wanting to “close the curtains” and keep themselves to themselves online. Much like Anti-virus and Malware scanners you can pick up something fit for purpose for not a lot of money. 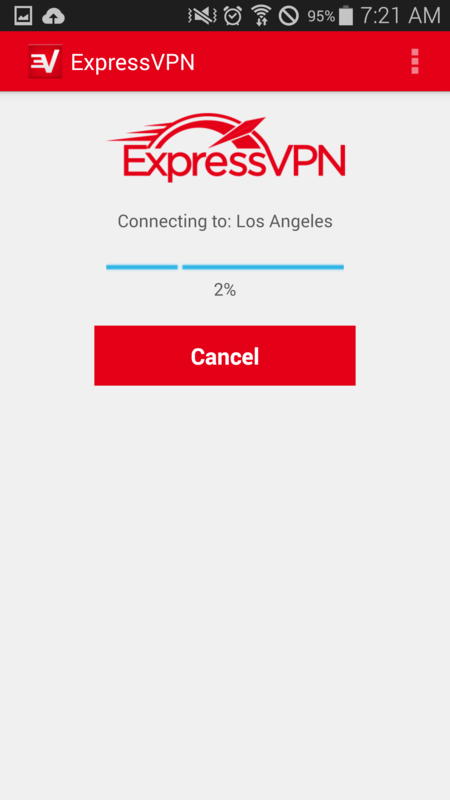 ExpressVPN promises to cover your tracks on your mobile device and provide you peace of mind when browsing on your phone. 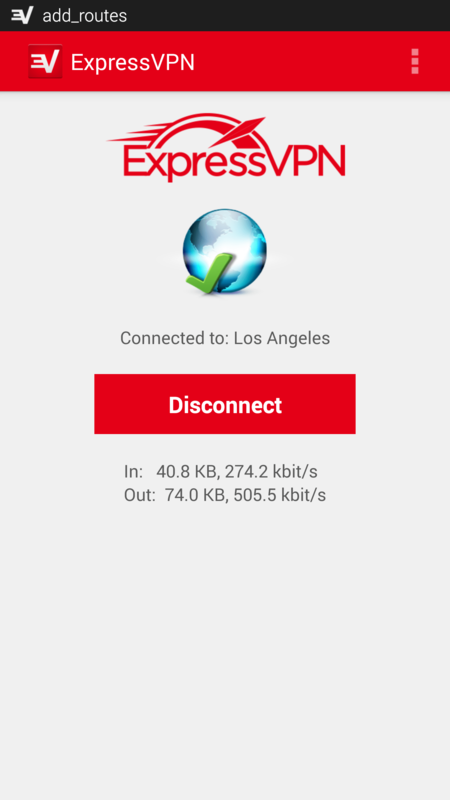 Using ExpressVPN couldn’t be simplier. Loading the app takes only a few seconds and you are greeted with a list of networks available to you. This is were you can take advantage of simple services no matter where you are in the world. For example, if you happen to be a UK citizen and wish to access BBC Iplayer whilst on a trip to New York, you can select a Network in London and this will in turn tell BBC Iplayer that you are in fact in the UK and will let you connect. 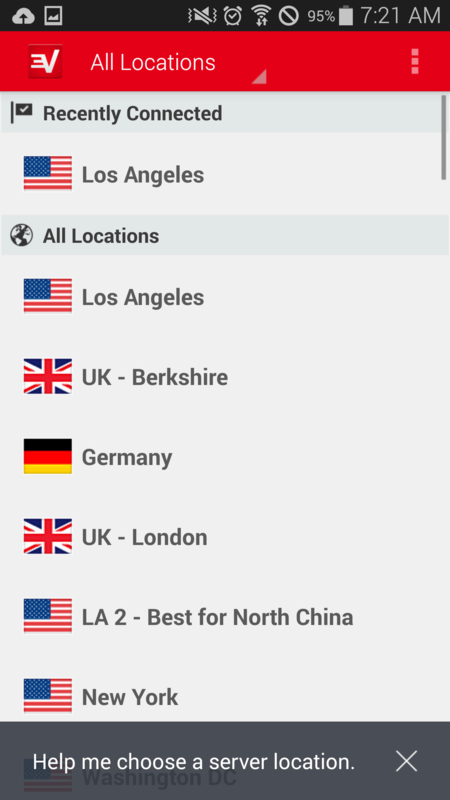 In the screenshot above I have selected Los Angeles as a recently connected server. This will scramble any trace of where I am for the duation of my connection to the server and make it impossible for a service to track, or spy on your location. By comparison to some other VPN’s out there there is a short delay as the app connects to the required server. Other VPN packages can connect automatically to a random server and in the case of F-secure Freedome connect instantly. ExpressVPN is notably cheaper F-Secure’s offering and whilst not as pretty the savings are worthwhile. Once connected, that’s it. A little key icon will appear in the notification panel to let you know you are safe. You are on-line, in that country and various online services, trackers will believe this. It is important to point out that online stores might present prices in the currencies pertaining to the country network you have connected to and to remedy this you will need to switch the VPN off. However, this can also be handy for price matching and even finding cheaper deals for the international travellers. 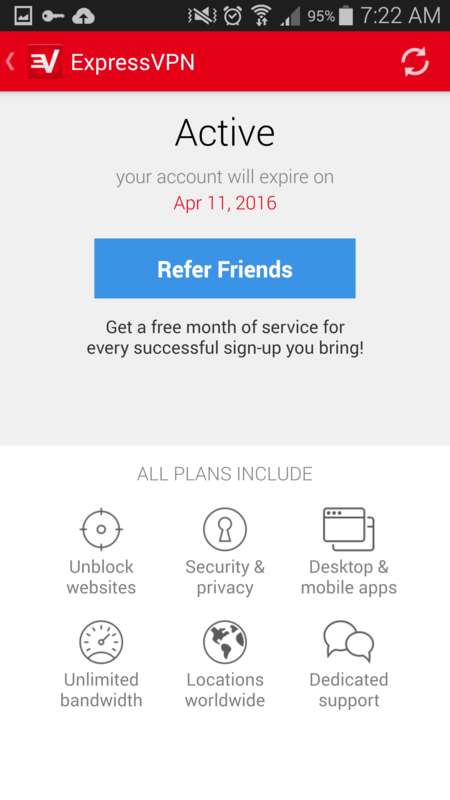 A subscription to ExpressVPN is available for $99.95 for a year. This is an incredibly good deal if you take you online privacy seriously. There are a lot of threats out there and alongside the security come some of the bonuses of not having to worry about local internet service providers limiting what you can see and where you can see it. In addition ExpressVPN brags round the clock support and a money back guarantee if not satisfied.